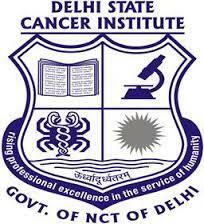 DSCI Recruitment Notification 2018.Delhi State Cancer Institute has released a notification for the recruitment of Sr & Jr Resident vacancies.Check the eligiblity and notification prior to apply for the positions. MBBS/ Post graduation degree holders in respective discipline from a recognized university can apply for senior and junior resident posts. Upper age limit for SR post is 40 years, JR is 35 years. Selected candidates as Senior Residents & Junior Residents will get pay in between Rs.15600-39100/- and grade pay allowances. Through an interview, test aspirants will be selected. On 04th October 2018 candidates can appear for Delhi State Cancer Institute walk-in along with all essential documents. Director’s Office at DSCI (East).